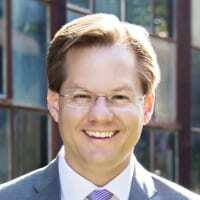 Home / Blog / Hytching with Leaders: Matt Largen, Williamson Inc.
Williamson, Inc. President and CEO Matt Largen on an inexpensive way to reduce traffic congestion in Nashville and surrounding counties. In 1950, WSM-AM announcer David Cobb described Nashville as “Music City U.S.A.”—and the moniker eventually became synonymous with Tennessee’s capital city. These days, virtually everyone thinks of Nashville when they hear the phrase “Music City,” and even though casual observers perceive it to be a country music town—the city boasts vibrant rock, pop, jazz, and hip-hop scenes, not to mention awe-inspiring church choirs, gospel music, and chamber orchestras. What Nashville doesn’t want to become known for, though, is its traffic, which has worsened as the city has grown (by 100 people per day! ), thanks to its thriving economy, positive word-of-mouth, and the accolades of national media. In 2014, for instance, Time magazine referred to Nashville as “The South’s Red-Hot Town,” highlighting the city’s strong employment growth, below-average cost of living, and booming healthcare industry, all of which has helped spawn a “fierce debate” over the need for and direction of public transportation, according to Time writer Jon Meacham. “We know the biggest challenge we have in Middle Tennessee is around transportation,” says Matt Largen, President and CEO of Williamson, Inc., the Chamber of Commerce for Williamson County, which is Nashville’s neighbor and Tennessee’s fastest-growing county. Today, 83 percent of the workforce in Nashville commutes alone in a car, and thanks to population growth, Middle Tennessee commuters can expect the time they spend in their cars to double by 2040. As Largen notes, it’s not merely the added commuting time that is an issue; extra time spent on the road each day also takes away from one’s quality of life. “We promote Nashville as a very family-friendly city [and] … the time you miss out with your kids is time you never get back,” he says.  That’s why Largen regards Hytch Rewards—an app which lets you earn cash when you share a ride—as a powerful tool for reducing traffic congestion in Williamson County and the rest of Middle Tennessee. The connected, creative community around Music City; starting to sound like an even better place to live.